H.H. BrahmRishi Swami Vishvatma BawraJi Maharajfrom Chandigarh, India, is the Chief founder and Spiritual Director of the internationally acclaimed BrahmRishi Mission. This Mission whose roots are firmly entwined in Indian soil has its branches in different parts of the world like Europe, North America, South America and Caribbean countries. This Mission can only be fully comprehended after understanding its Source:Gurudev Shri Vishvatma Bawra ji Maharaj. 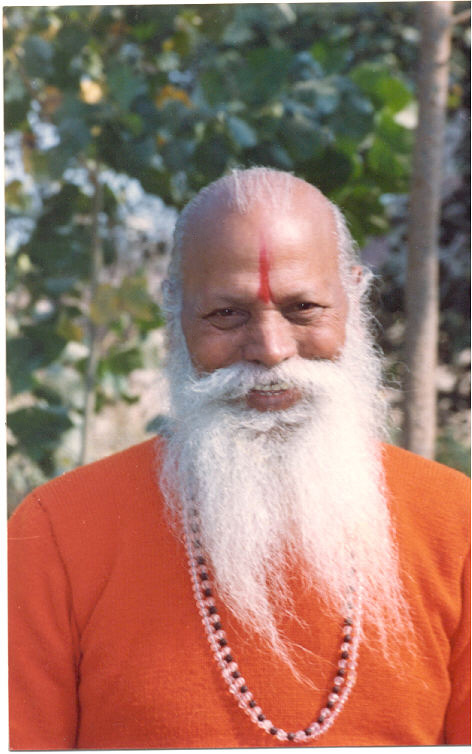 Reverend Gurudev was born on January 11, 1934, in village Kanwal Gyanpur, District Varanasi, the holy city of spiritual knowledge, situated at the bank of the Holy River Ganga, in India. He comes from a highly scholarly and noble Bhatt Brahmin family.Reverend Gurudev, being the last of three children, was afforded the comforts and protection that a child would receive from his elders. He shied away from school and had no formal education in his childhood.Who knew that this innocent shy child, keeping Himself busy with cow herding and wrestling,one day is going to be a Self-realized saint and will awaken the human kind to Brahmvidya � the holy Science of the absolute Knowledge. At the age of eighteen He was attracted by a great Avdhoot Yogi of the Himalayas, H.H. Bhagwan Chandra Mauli Ji Maharaj. 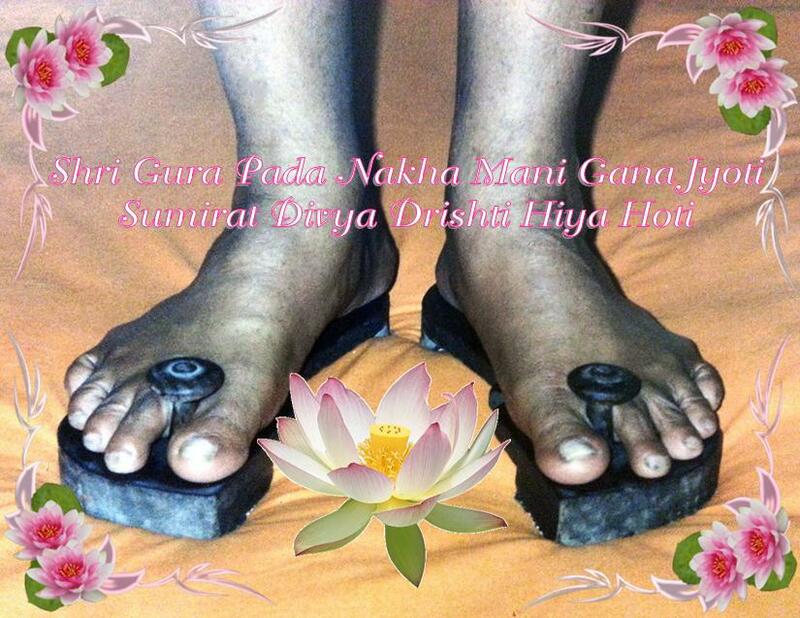 He surrendered himself unto the lotus feet of this great spiritual Master (GURU) as His disciple. He was enlightened by His divine touch and could recall and remember His many previous lives. Under His guidance, He left his family life and went to the holy city of Ayodhya. There He received formal initiation into the Shri Vaishnav Order by a great saintH.H. 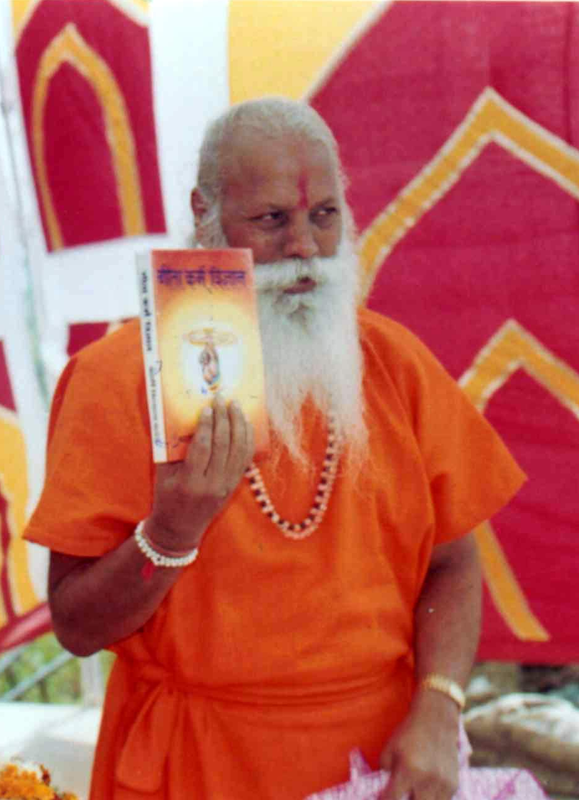 Vaishnavacharya Shri Swami Ram Swaroop Dass Ji Maharaj of Sugriva Patti, Hanuman Garhi, Ayodhya. He engaged and engrossed himself into the ancient system of education under the guidance of Swami Shri Ram Sundar Dass Ji Maharaj at Baba Mani Ram Chhavani of Ayodhya. He studied the philosophical treatises under the guidance of a great scholar saint H.H. 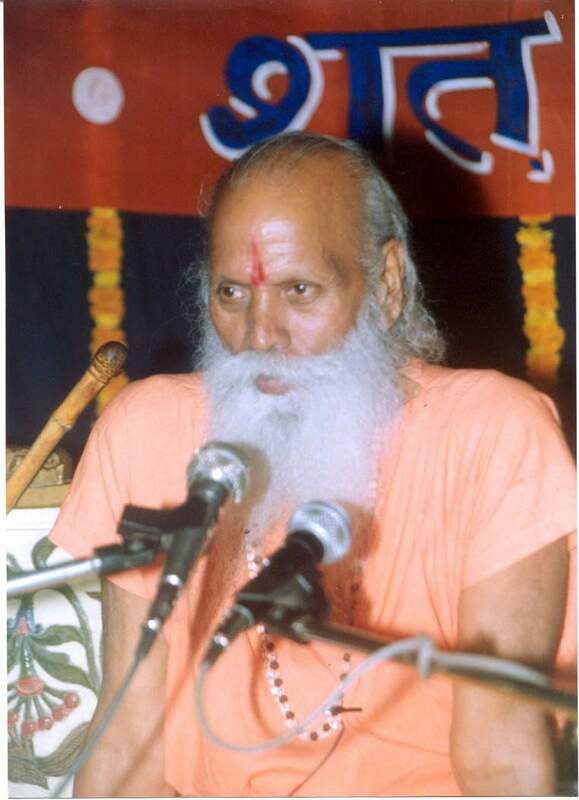 Shri Swami Sarvabhom Shatdarshanacharya Vasudevacharya Ji Maharaj of Ayodhya. He entered into the realm of higher spiritual practices and austerities under the direction of His Divine Master Yogeshvar Bhagwan Chandra Mauli Ji Maharaj. He practiced Mantra Yoga, Laya Yoga, Hath Yogain sequence at Ayodhya, Chitrakoot, Udaipur (Rajasthan) Chintpurni (H.P.) and on the peaks of the Himalayas.He achieved the higher state of Laya Yoga Samadhi at Chintpurni (H.P.). He reached the culmination - highest level of consciousness (Samadhi), Kundalini Yoga (Raj Yoga) at Udaipur on December 27, 1962. 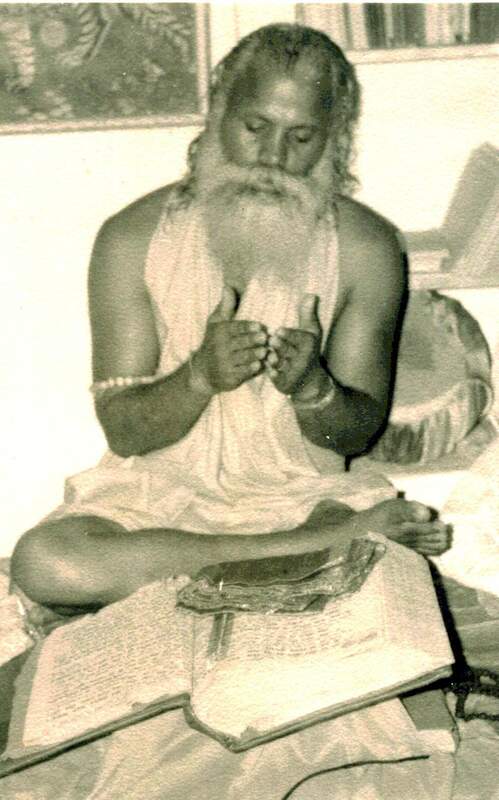 At that time He remained in Samadhi for many days.During the course of His intense spiritual practices and austerities, He was blessed by many great Yogis time to time as: Swami ParamHans Abhayanand Ji Maharaj, YogiRaj Vishudhanand Ji Maharaj, ParamHans Avdhoot Yogi Swami Mani Ram Ji Maharaj, ParamHans YogiRaj Swami Ram Dass Ji Maharaj and many other unknown yogis of the Himalayas. By the grace of His divine Master he was blessed with a very sharp memory and had memorized the ancient Holy Scriptures and other philosophical treatises. He studied all prominent religious scriptures of the World. He not only mastered religious philosophical treatises but also history, politics, social science, ethics, psychology and different educational systems in the light of modern science. Thus He matured as a learned Scholar and became a Great Yogi, accomplished Parivrajaka (roving) Vaishnav Sanyasi � a ParamHansa. Reverend Gurudev had great love for his divine master Yogeshvar H.H. Bhagwan Chandra Mauli Ji Maharaj and wished to be always under His divine grace. However His master ordered Him to go into the society, being compassionate for human kind who is suffering due to their own ignorance and waiting for a real enlightened guide. His master ordered Him to do divine service and teach real knowledge bestowed by the Lord in His Divine Song - the Bhagvad Gita, thus you will be the dearest devotee of the Godhead as he has declared in the 18th Chapter of the Bhagvad Gita.He ignored His own wish, for the merits of following his master's biddings. This great Yogi and great scholar and eloquent, prolific speaker thus entered the society and dressed in loin cloth lived on alms with Holy Scriptures as His only belongings for many years. He commenced His roving with all zeal and earnestness, and visited India East to West, North to South many times. He taught and blessed thousands of people with His spiritual power and discourses on the Gita, Ramayana, Upanishad, Samkhya, Yoga and Vedanta Philosophy in the light of modern science and his own experiences. He has left with us a rich repository of knowledge in his numerous masterly treatises (books). In the ensuing years as He traveled, His disciples grew in number. Though His disciples requested Him to establish a monastery to pursue their spiritual practices, but He did not agree. When some disciples renounced their family lives and followed His teachings, then He agreed to establish a center, where He started to teach spiritual discipline in a scientific process. Consequently the first center of His mission was established in Udaipur, Rajasthan, in 1965. His first education center was established in Ludhiana (Punjab) in 1968. In 1974 a great Monastery, the Main Ashram, was established by the Mission in the lap of the Himalayas called BrahmRishi Ashram, Virat Nagar, Pinjore, Haryana, India, with the Motto � WISDOM LOVE SERVICE, more concretely for teaching Doubtless knowledge, Lustless love and Selfless service. Many students from different parts of the world come to this Ashram to study metaphysical science and practice higher discipline of Yoga, getting all kinds of facilities free of charge. Also a school for formal education and another school for Sanskrit studies were established. Destitute and orphan children are given free education and maintenance. In this Ashram, a cowshed with 150 cows was organized and a hospital for health care in Ayurveda was established, and printing press facilities were set up for publication purposes. A monthly magazine was started. Gradually many branches of the Mission were opened in different provinces of India. Education had the highest priority in His mind. In 1985, Reverend Gurudev established a Metaphysical Science Research Institute in Chandigarh. It is now an institute of repute in Northern India, running a college for B. Ed. in Yoga, and O.T. (Shiksha Shastri) duly based on Sanskrit studies. The days are not far away when students will start Research Work on Yoga after doing M. Ed. in Yoga. As now when Yoga is the talk of the world, the research work will be a precious gift from Reverend Gurudev. He established schools in all His Ashrams in India. Brahma Rishi Mission also has registered centers in many parts of the world. He started His international visits in 1972. He toured all over the World many times and established centers in the United States, Canada, United Kingdom (UK), Holland and Surinam.The particulars of all centers � both local (in India) and international, have been given separately. All the centers have the same Motto:Wisdom Love Service.Reverend Gurudev built up His Sanyaas Order on a solid base. The incumbents were required to have good education and unshakable faith and firm determination to undergo rigorous spiritual disciplines over a pre-sanyaas period as individually needed. 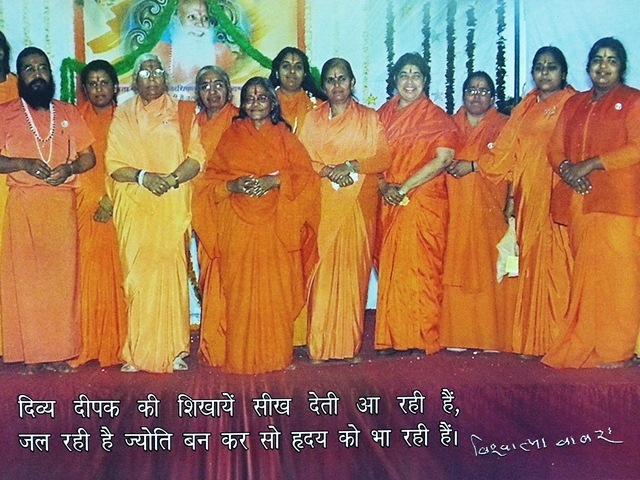 He particularly championed the cause of women providing them equal rights and position in the order.The mission has since its inception, produced many astute, dedicated and committed Parivrajika Sanyasins � under the direct guidance of the great spiritual master Brahmrishi Shri Vishvatma Bawra Ji Maharaj. Women sanyasis outnumber men. They head the various Missions centers in India and abroad disseminating the universal ideology of the mission. Reverend Gurudev was an exponent ofBrahmvidya, the science of the absolute knowledge. This hastwo aspects:Samkhya,the theoretical andYoga, the practical asmentioned in the Upanishads and Shrimad Bhagvad Gita. 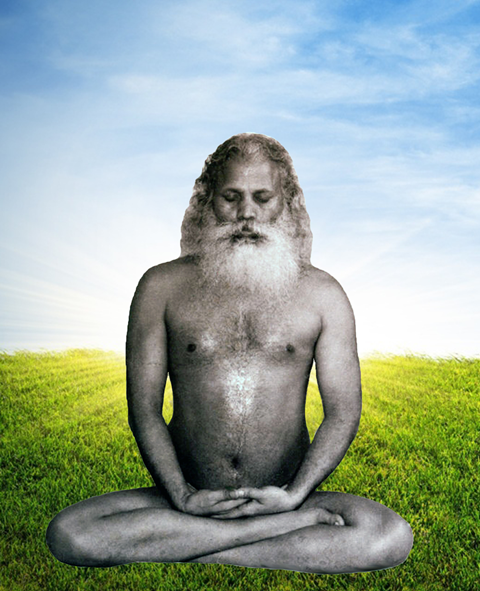 On the basis of His own experiences, He taught the higher processes of Yoga and Meditation calledMaha Yoga� a combination of Hatha Yoga, Mantra Yoga, Laya Yoga and Raja Yogafor realizing the ultimate truth in the light of higher consciousness, to become free from sufferings, to achieve eternal peace and to establish real universal brotherhood among mankind. His writings and discourses published in over 70 books cover almost every facet of this knowledge. He has written a great scientific commentary on Shrimad Bhagvad Gita, named "Dharma Vigyan Bhasya". Reverend Gurudev made it clear that this knowledge is open to those who are firm minded and resolve to exercise their own grace on themselves and not only seek the grace divine. Secondly for those who have pure intellect. In order to achieve it, pureAharaandViharaare requisites. And for those who doSatsanga. Approach a spiritual master with explicit faith and sense of devotion, love and service. His teachings are not related with any caste, creed, color, country, community, gender or sect. The universality of His teachings has left a great and an irreversible impact both in India and abroad and the centers opened by him have, are and will be providing the continuing boost and support. Gurudev Shri Vishvatma Bawra Ji Maharaj had a working knowledge of all the major religions in the world. He was a prominent speaker in many inter religious conferences in various parts of the world. He had the rear distinction to speak in almost 150 universities in the world and moreover he represented India in the World Religion Conference held in 1991 in Seoul, the Capital of South Korea. The papers read by Him, in this conference, were highly applauded and duly appreciated and cheered. He was a Roving ambassador ofKarma Yoga, Gyan Yoga, Bhakti Yogamentioned in the Shrimad Bhagvad Gita. He enlightened people with His wonderful teachings, combining both the Eastern Spiritual and Western scientific thoughts. He was one of the seven members of theNirdeshak Mandal of Akhil Bhartiya Sant Samiti, a great National Saint Association of India � a leading and prominent member too. He was with the Mandel on whole India Yatra (tour) for awakening the masses to the percepts of the Sanatan Dharma. It is only when performing this noble Mission that he achieved hisMahasamadhi. He was meditating when He relinquished his mortal existence and achieved Immortality. Such saints areduralabha� are rare, says the Gita. Worshipful Gurudev is no more in his mortal coil. We mourn His loss, His physical absence, because He is not available to lead us by hand or word of mouth. For those who have imbibed Him in their hearts, He is eternally there to inspire and guide. Our Worshipful Gurudev is eternally with us. It is up to us how pure our love and devotion is for Him. In active service as He was till his last moments, under the force of His benevolent nature, He is bound to come to earth, to benefit the mankind. As Mortals we are apt to mourn His irreparable loss. We stand in solemn prayer of thankfulness to Him. Also, we seek His continuing blessings and record our assurance that we will stand to solidly support and work for the fulfillment of the objectives of the BRAHMRISHI MISSION so dear to Him. He always blessed us with the Vedic injunction: May God �Lead you from unreal to real; from darkness to light; from death (limitation) to immortality (liberation). He Himself lived truly and achieved His liberation.